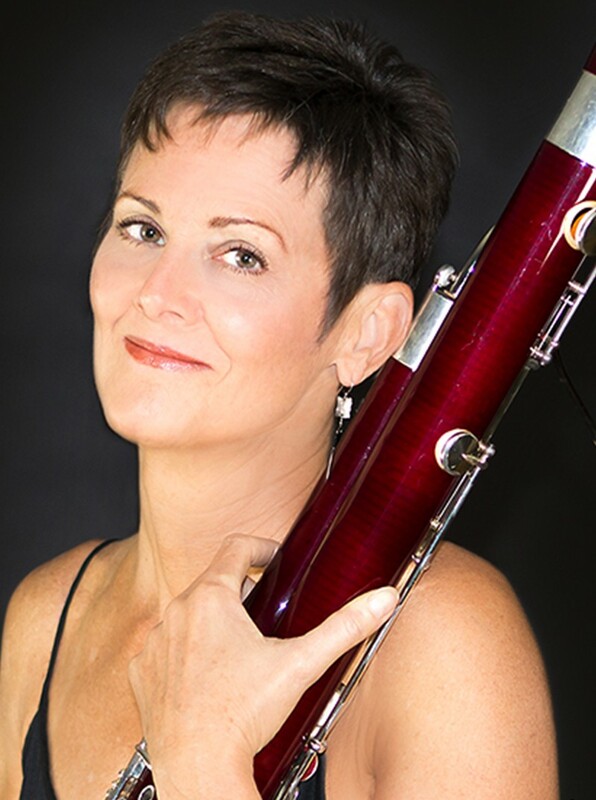 Described as “a fearless player… as well as a musician with a keen sense of phrasing and color.” (Gramophone), Carolyn Beck is the Principal Bassoonist with the Redlands and San Bernardino Symphonies, and performs with other ensembles in the Los Angeles area including period instrument groups. Her solo CD “Beck and Call” is available on Crystal Records. She was co-host of the 2013 International Double Reed Society conference in Redlands, California. Recent solo performances include the Joan Tower bassoon concerto with the Pomona College Orchestra in October 2014, the premiere of the Christopher James’ Bassoon Concerto in New York City in June 2012 with North South Consonance, and appearances at several International Double Reed Society conferences. She was formerly the Principal Bassoonist of the Buffalo Philharmonic and the Orchesta Sinfonica del Principado de Asturias in Spain. Dr. Beck currently teaches bassoon at the University of Redlands, Pomona College, and the Idyllwild Arts Academy. She was awarded her Doctor of Musical Arts degree from Manhattan School of Music and her Master of Music Degree from Yale School of Music, both in bassoon performance. Her major bassoon teachers included Don Christlieb, Arthur Weisberg, and Stephen Maxym.